There is no doubt that the United States Federal Bureau of Investigation (FBI) has been an enemy of Black America. The crowning achievements of the FBI’s COINTELPRO (counter-intelligence) program, during the 1960s, were the assassinations of the Rev. Dr. Martin Luther King Jr. and Malcolm X. A film called “Betty and Coretta,” which aired a few weeks ago on the Lifetime cable network, is a diabolical effort to deceive the public. This significantly timed film features the wonderful R&B singer Mary J. Blige portraying Mrs. Betty Shabazz. Ms. Blige, Larry Sanitsky, Kendu Isaacs, Jaha Johnson and Polly Anthony are listed as its executive producers. The writers of this film, Shem Bitterman and Ron Hutchinson, include in their script accusatory words spoken by Mrs. Shabazz that claim Minister Farrakhan was responsible for the death of her husband, Malcolm X. The desire of some of the writers and producers is to destroy the magnetism of Minister Farrakhan among a new generation of Black youth that are discovering the living legend for the first time for themselves on college campuses and in the streets of the ‘hood throughout America. This film is a weak and transparent attempt to derail Minister Farrakhan’s momentum. 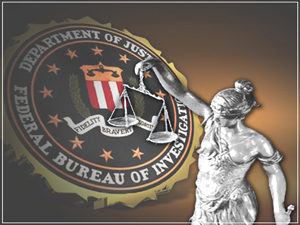 These are all activities that have historically been fought by the United States Federal Bureau of Investigation (FBI). The director of the FBI (1924–1972), J. Edgar Hoover, used untold sums of taxpayer dollars to wage a war against all Black Nationalist Groups. His stated goal was to prevent the rise of a “messiah” who could unite Black America in a bond of brotherhood and strength. Minister Farrakhan is the modern equivalent of what Hoover feared 40-plus years ago. This film “Betty and Coretta,” which disrespects and mocks the great legends of Black History—Martin Luther King, Ralph Abernathy, Louis Farrakhan, and even Malcolm X himself—is straight out of the FBI playbook. It is a “friendly media” documentary that aims to ruin the Nation of Islam. But this isn’t the first time that the NOI has been under attack. It is a well-known fact that the long-time leader of the FBI, J. Edgar Hoover, was a member of the Masonic Shrine. The Masonic Shriners are Christian and Jewish white men who occupy powerful and influential positions within business, government and academia. They are students of the Bible, Holy Qur’an, World History and Prophecy. They are particularly known for their private veneration of Prophet Muhammad, peace be upon him, and the early history of Islam as a world conqueror. Hoover’s Shriner membership sheds light on his use of the word “messiah” in his infamous COINTELPRO memo. For in both Bible and Quranic prophecy, the Messiah is born from and is a blessing to the Children of Israel. The Messiah is to be a man like Moses. Moses liberated the enslaved Hebrews from Egypt in the Biblical narrative. This led to the destruction of the Egyptian way of life and economy and produced the end of the rule of the wicked Pharaoh. Hoover’s Shriner membership also helps us to understand why he interpreted his position atop the FBI in the way that he did. For it is not a logical deduction that one entrusted with the United States national security would devote so much of America’s resources to destroying Black groups, especially during what is to be considered the height of the Cold War against Russia. Hoover’s Shriner knowledge would have made him acquainted with the Bible’s Exodus 1:10, which reads: “Come, let us deal shrewdly with them, lest they multiply, and, if war breaks out, they join our enemies and fight against us and escape from the land.” To be shrewd means to be artful, crafty and sly. It derives from Old English shrewd, meaning “wicked, evil,” and from shrewe, which means “wicked man.” This is the perfect description of Hoover’s actions under the COINTELPRO strategy. The FBI therefore understood the natural affinity among Blacks in America with people of color throughout the world. It believed that the unjust treatment of Blacks coupled with the colonization and exploitation of Africa, Asia and the Americas would make Blacks in America an internal enemy force during times of war. “By the point of Malcolm’s assassination during a speech in Harlem on the night of February 14, 1965, the FBI had compiled at least 2,300 pages of material on the victim in just one of its files on him, the NOI and the OAAU [Organization of Afro-American Unity]. Malcolm X was supposedly murdered by former colleagues in the NOI as a result of the faction-fighting which had led to his splitting away from that movement, and their ‘natural wrath’ at his establishment of a competing entity. However, as the accompanying January 22, 1969 memo from the SAC, Chicago, to the Director makes clear, the NOI factionalism at issue didn’t ‘just happen.’ Rather, it had ‘been developed’ by deliberate Bureau actions — through infiltration and the ‘sparking of acrimonious debates within the organization,’ rumor-mongering, and other tactics designed to foster internal disputes — which were always the standard fare of COINTELPRO. The Chicago SAC [Special Agent in Charge], Marlin Johnson, who would shortly oversee the assassinations of Illinois Black Panther Party leaders Fred Hampton and Mark Clark, makes it quite obvious that he views the murder of Malcolm X as something of a model for ‘successful’ counterintelligence operations. Black America must not allow itself to be deceived today, for this indeed is the day where the truth (the facts) shall make all free.